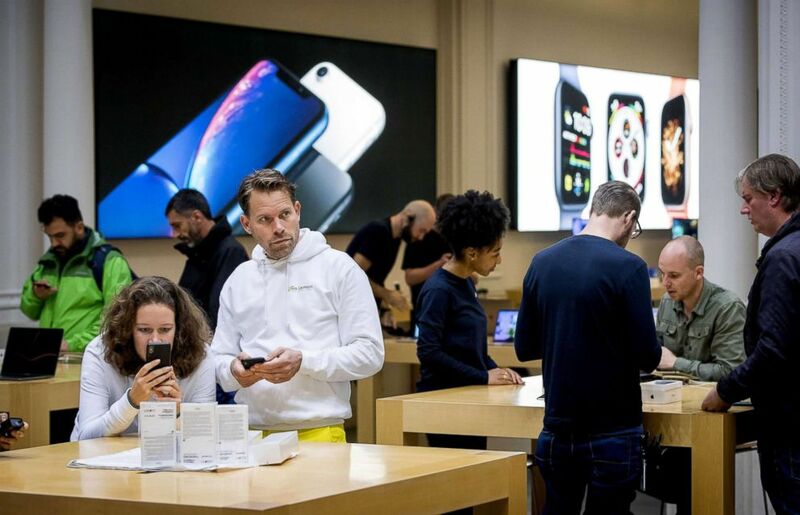 Apple's biggest and most expensive phones -- the iPhone XS and iPhone XS Max -- went on sale on Friday, as some analysts wondered if the high prices will turn off customers. 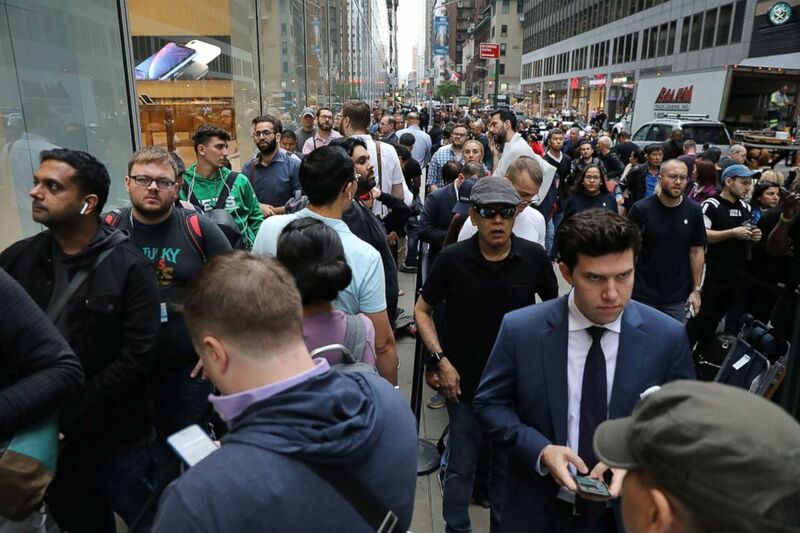 People wait in line to purchase the new iPhone XS and XS Max at the Apple store in Midtown Manhattan on Sept. 21, 2018, in New York City. The cheapest new Xs model starts at $999 for 64GB in memory. The phone that Apple refers to as "affordable," the iPhone XR, which starts at $749, doesn't go on sale until October. Recently iPhone sales have stagnated, but increasing prices have made up the gap, resulting in record revenue for the company. On Tuesday, Apple CEO Tim Cook defended the price of the new phones on "Good Morning America," saying, "Most people pay about $30 a month for an iPhone or $1 a day." In Palo Alto on Friday, Cook showed up to greet shoppers at an Apple store. He's been known to drop in to stores during fall product launches. 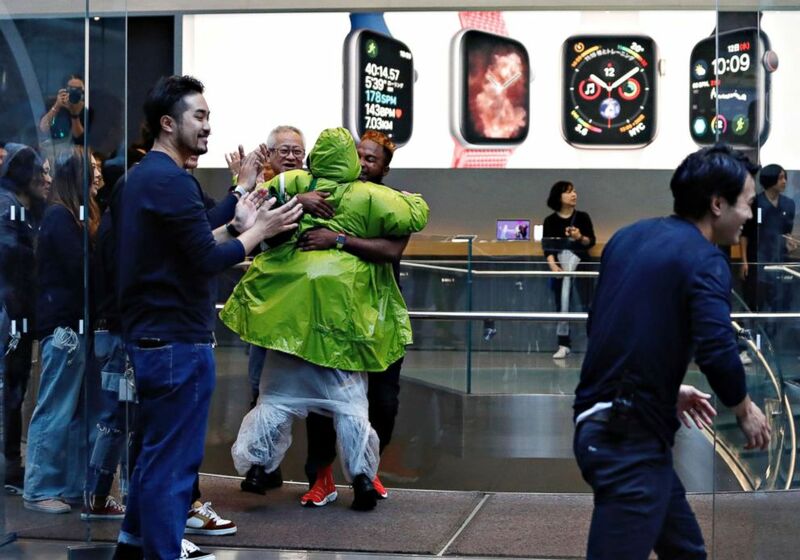 Apple Store staff person greets customers who have been waiting in line to purchase Apple's new iPhone XS and XS Max in Tokyo's Omotesando shopping district, Sept. 21, 2018. "It's much more expensive," said Tuong H. Nguyen, a senior principal analyst at Gartner. He said people may be thinking, "'I just dropped $1,000 last year. And this year's phone is not that interesting. Everything we have right now is awesome. Maybe the new iPhone is slightly more awesome, but it’s hard for me as a consumer to discern the difference. We’re well past the point of meeting our needs with these products.'" "What does that mean to you as a consumer other than the trophy prestige brand value?" Nguyen said. Bas van der Putten, second from left, was the first customer in line who bought a new iPhone at the Apple Store in Amsterdam, Sept. 21, 2018. This year is an "S" year, meaning that Apple releases a new version of an existing phone, like the XS, rather than putting a new phone on the market. Nguyen said that Apple always sees a bump in fourth quarter sales because that's when the company releases new products and increases its market share of the smart phone market. But "in the S years the bump is not quite as pronounced," he said. 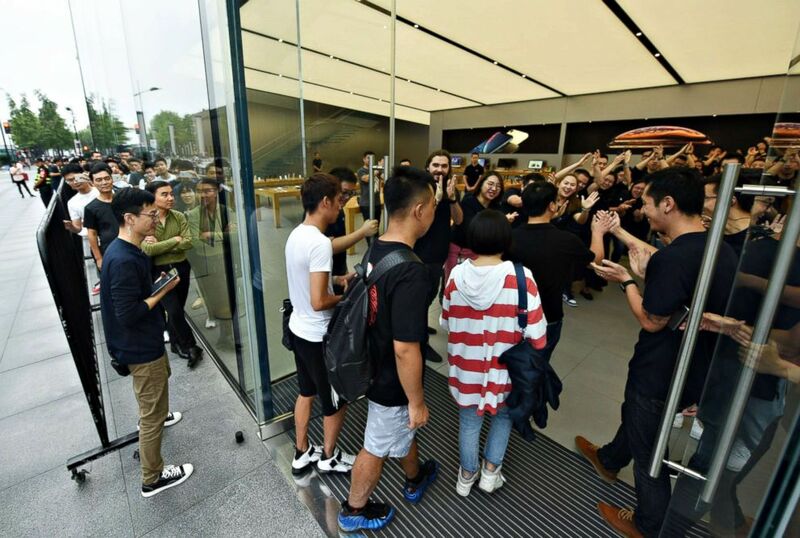 Fans line up for the debut of the latest iPhones an Apple Store in Hangzhou, China, Sept. 21, 2018. The new Apple Watch Series 4 also goes on sale Friday. The smart watch will be the first to integrate an ability to detect when a wearer falls and to automatically call loved ones and emergency services if there's no user response to alerts after 50 seconds. It also comes with function able to take an electrocardiogram of the user and send the information to a doctor.